This post is over 3 years old, and the data is no longer accurate. 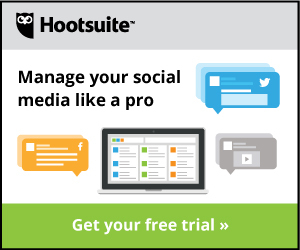 I have since switched all my sites to SiteGround, and the performance is excellent. GoDaddy does have a much improved product called Pro WordPress Hosting, which is definitely worth checking out. It is just as fast, if not faster, than WP Engine’s entry-level plans, but for a fraction of the cost. I recently moved my personal blog from WP Engine’s hosting to GoDaddy’s new WordPress hosting. I was looking to lower my cost (for a single site, GoDaddy is considerably cheaper), and I wanted to see how their performance compared to the existing, bigger-name players already in the managed WordPress hosting space. Here’s where the performance comparison comes in. Let’s see how GoDaddy’s WordPress hosting compares to WP Engine. First, let’s explain the parameters of the test. The type of plan (starter, pro, business, etc.) shouldn’t matter. Both services use the same servers, caching settings, etc. for all plans. The location of the host server, as well as the server making the requests, could impact page load speed. Aside from a hosting provider, there are an infinite number of ways to setup a WordPress website. Thus, millions of factors will affect the speed at which your site loads. Here are some basic details of the site I’m using for this test. These are all very standard plugins, updated recently, maintained by experience developers. Most other plugins only affect the admin area. I think the tables above speak for themselves, really, but let’s dig just a bit deeper to annotate the results. I’m not entirely sure why this is, but my guess would be more aggressive caching. They likely bundle several requests together and send them in one, unified request. Both hosting platforms load pretty fast. For not using a CDN, or making any special changes to improve load time, I’m happy with both results. This is part of the idea behind managed WordPress hosting: the hosting company is supposed to do a lot of the work for you. I’m not going to say flat out that one is better than the other. There are many other factors you should consider when choosing a WordPress host. This just looks at one of them. Bottom Line: When it comes to page load speed, both hosts are a solid choice for personal blogs. Our WordPress hosting comparison matrix lets you search features & compare pricing side-by-side amongst popular WordPress hosts. Give it a try. 6 Commentson "WordPress Hosting Speed – WP Engine vs. GoDaddy"
Glad to see people comparing WP hosting, but this isn’t apples to apples. These two sites are different, run yslow on both and the page at GoDaddy is loading more JS and more images. Jeff, thanks for chiming in here. 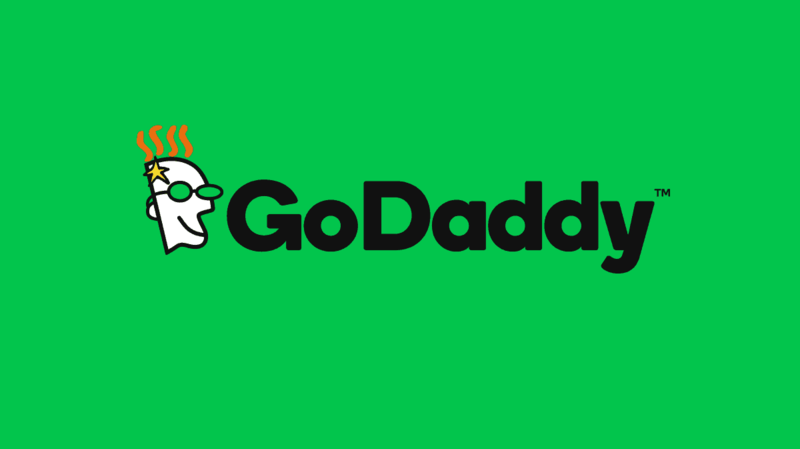 It’s great to see GoDaddy being active in the community. While I can’t say definitively, this is likely what caused the discrepancy on yslow when you ran your tests. I checked them both out on yslow and I see what you’re referencing, but I believe the changes I’ve mentioned are responsible. That being said, there could still be small differences between the two sites that don’t make this a 100% apples to apples comparison (most notably, DNS lookups, as each site resides on a different domain). But I do feel that, at the time of the test, they were close enough to publish the results of the comparison. I’d be interested to know how the version control for both companies stacks up, is one better than the other? This is a real vote winner for me. How do the included backup systems compare and how much access via sftp/ftp do they allow (and does this update via Git)? Is one service easier to use than the other? I currently have an SSD VPS and have been thinking about making the switch, WPEngine and GoDaddy are the 2 services that stand out. I had thought about Pantheon but it’s massively expensive!! ($100+ per site per month). WPEngine doesn’t offer a reduction in cost on my current hosting, GoDaddy would save me about £500 ($750) per year, but it’s not really about cost, it’s about functionality and speed. Do you feel you lost anything moving to GoDaddy? For some reason i’m apprehensive about using them for hosting, but I have no justification for that, the domains and SSL certificates I have through them have all been pain free and reasobale value. I kind of want to make this the last move I make for a while, I’ve had 3 in 5 years and with all the sites I host it’s a pain. I don’t use version control on either host, so I’m not the best one to answer those questions. However, to my knowledge, GoDaddy does not offer any version control integration, whereas WP Engine specifically offers integration with Git. GoDaddy does give you the ability to enable SSH, so perhaps that’s all you’d need, but there is no UI for any version control with GoDaddy’s hosting. Here’s a quick screenshot I took from WP Engine of their UI for version control & Git setup (http://cl.ly/ZvKf). Both provide full access via SFTP (force SFTP, don’t allow FTP). GoDaddy only provides one SFTP account for live, one for staging. WP Engine allows you to create many custom accounts. I’m not sure about how they are synced or not synced with Git. Both backup daily, around 2am, and store about 30 days worth of backups. GoDaddy does NOT provide a way to do manual backups. WP Engine DOES allow you to manually backup as many times as you’d like. GoDaddy allows you to restore from any of the 30 saved backups. You have the options to do: 1) files only… 2) db only… 3) both files & db. WP Engine allows you to restore from any of the 30 saves backups. You have the options to do: 1) files only… 2) both files & db. I plan to write a more detailed article some additional features (or lack thereof) in the coming weeks, but I hope this helps you make your decision. Holler with any additional questions. Mmm… am I mixing up version control and one click staging? GoDaddy are offering ‘one click staging’ on their feature list to ‘Develop sites (or thoroughly test your changes) before you launch it for the world to see. Business and Pro plans only.’, I assumed this was the same as WP Engine. Looking at your screenshots it looks as though staging would suffice for me and version control would be overkill (whatever the difference is?!). In a broad sense, they could be thought of as one and the same. True version control keeps track of every line of code that is changed, added or removed, and allows you to create branches (or versions) of your code. It’s most notably used when developing software, but has also spilled over into the world of web development. WP Engine’s feature that allows Git integration is more developer-focused, and sounds like beyond the scope of what you’d be looking for in a host. With that being said, both GoDaddy & WP Engine’s staging solutions are essentially the same. Both solutions have everything that you mention in that last paragraph, with the exception of Multisite. I’ve asked GoDaddy about this, and they cannot provide any timeline as to when it might be available. But as with anything, the more it is requested, the better the chances. So if you’re interested, it wouldn’t hurt to drop them a line.